Looking spiffy in your business attire could lead to a great opportunity in the future. No employer wants an interviewee to come in for an interview looking like a bum. You won’t get hired that way. Having a clean-cut look with some flavor or style will add to the likelihood of a second interview. It takes time and money to build up a great business-appropriate wardrobe. The gift-giving season of the holidays is the perfect time to offset some of those costs by asking eager loved ones to help you out via your wish list. Instead of asking for new headphones or a new tech device, consider asking for some of these things that will be a long-term investment for your future. Suits: Whether you already have one or not, adding a suit to your wardrobe could potentially pay dividends. Suits can be a pricey investment, but depending on where you go you can find a good-looking suit for cheap. Men’s Wearhouse has suits starting at around $200. That might be a good place to direct your family for gifts. Ties: I have always been told by employers and other businessmen to invest in a conservative, fashionable tie. I was also told, “Don’t ever wear a bowtie to an interview. I have not hired people on the sole purpose that they wore a bowtie.” Bow ties are more appropriate for social gatherings and not a professional workplace. Ties are a reasonably priced gift and your siblings will be glad you asked for an easy gift! 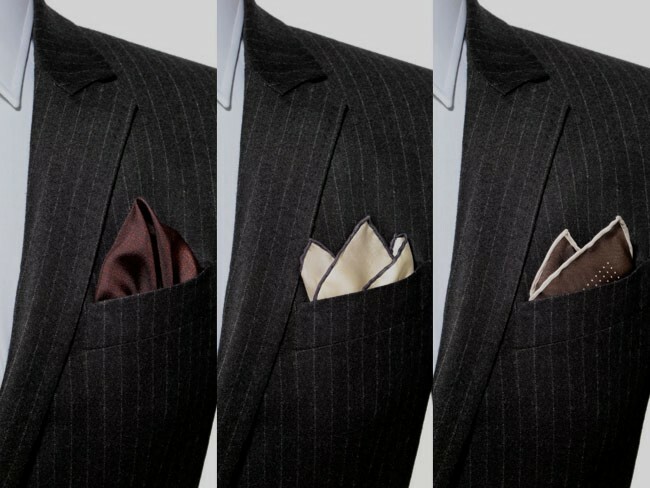 Pocket Squares: Pocket squares are known to be formal and even a little flashy, but buying the right one can help make you more memorable to a business associate or potential employer. I usually go with a regular white pocket square made from cotton that I bought for $30 at Nordstrom, and I always receive many compliments on it. The last time I was wearing one around my family, I had several family members ask where I got it. I told them, and the next time we were at a formal event, many of my family members were sporting them.